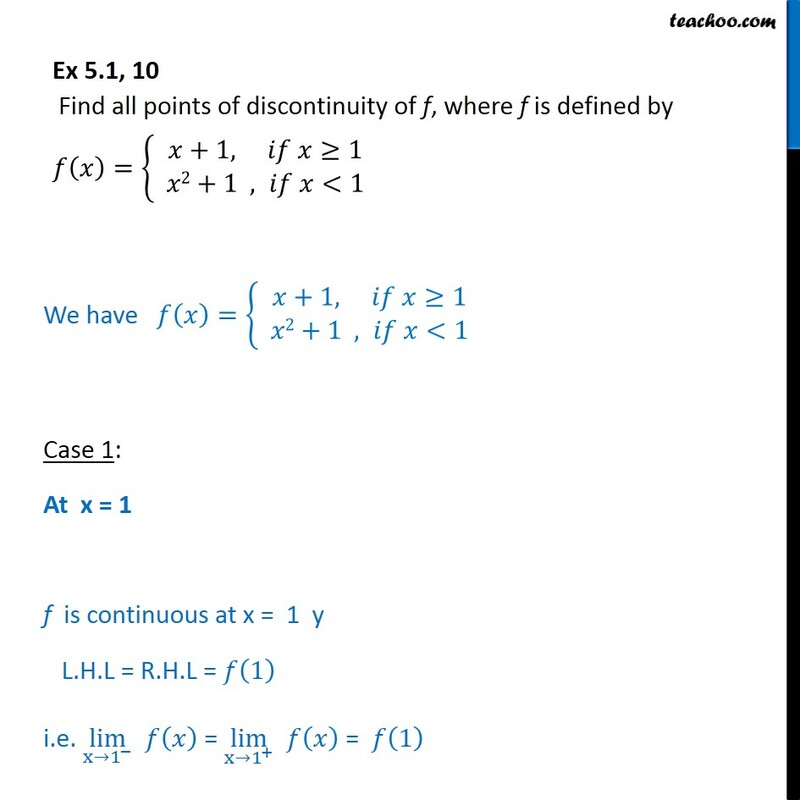 Ex 5.1, 10 Find all points of discontinuity of f, where f is defined by = +1, 1 & 2+1 , <1 We have = +1, 1 & 2+1 , <1 Case 1: At x = 1 f is continuous at x = 1 y L.H.L = R.H.L = 1 i.e. 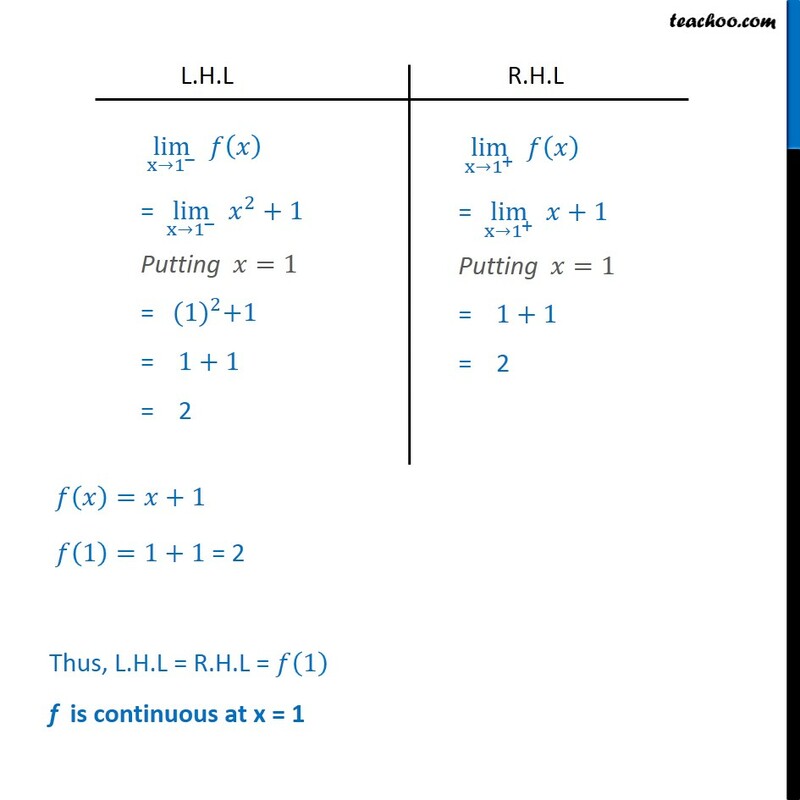 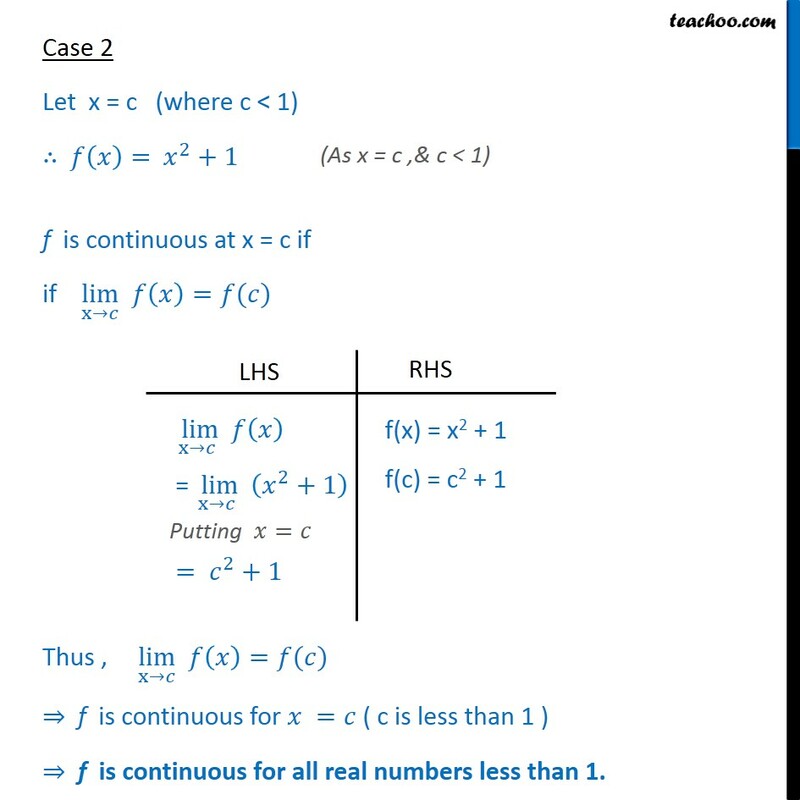 lim x 1 = lim x 1 + = 1 = +1 1 =1+1 = 2 Thus, L.H.L = R.H.L = 1 f is continuous at x = 1 Case 2 Let x = c (where c < 1) = 2 +1 f is continuous at x = c if if lim x = ( ) Thus , lim x = ( ) f is continuous for = ( c is less than 1 ) f is continuous for all real numbers less than 1. 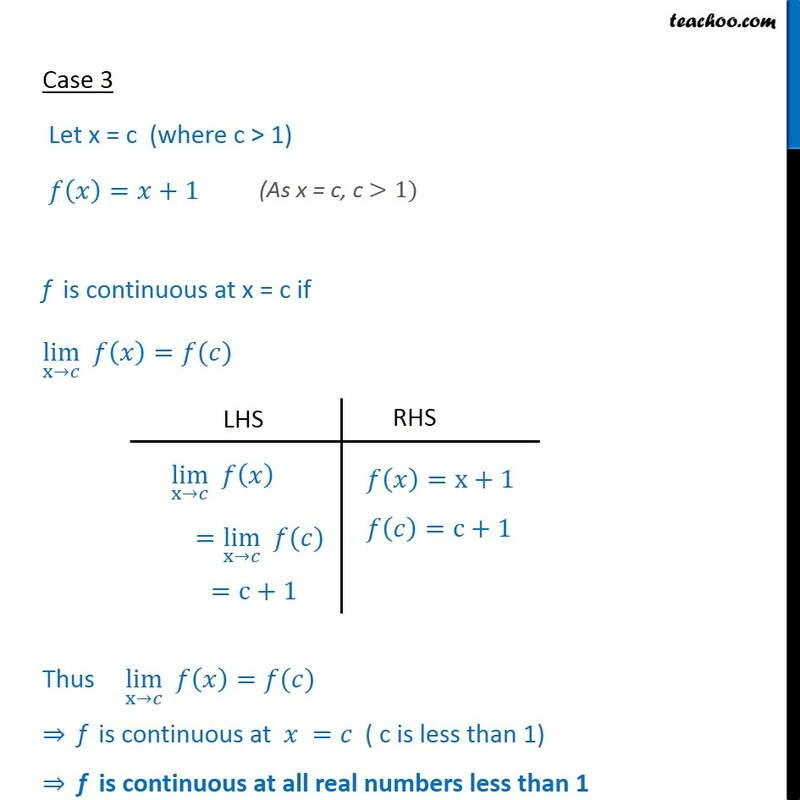 Case 3 Let x = c (where c > 1) = +1 f is continuous at x = c if lim x = ( ) Thus lim x = ( ) f is continuous at = ( c is less than 1) f is continuous at all real numbers less than 1 Hence, there is no point of discontinuity f is continuous at all real point. 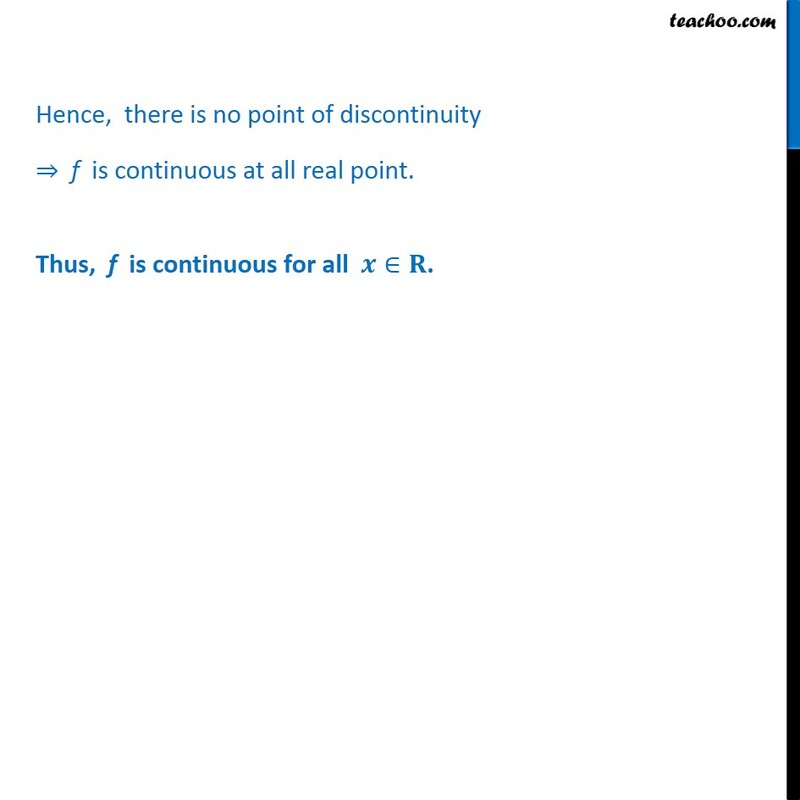 Thus, f is continuous for all .